DHT Elevator Co., Ltd. is a backed with high cost performance and the distinctive managing concepts. The products are well-received by vast customers because of the flexible sales policy and the humane service. The company is developing in leaps and bounds. The company passes ISO9001: 2000 quality system certification. 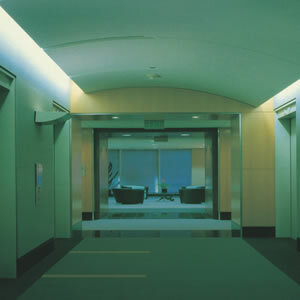 Our V6 commercial elevator is a new-type elevator developed from durable gear product. It is suitable for use in common residences, commercial centers and other places. This commercial elevator has the features of reasonable design, smooth ride, reliable quality and easy maintenance. Gear drive system with mature technology and reliable structure. Advanced gear lift-use digital frequency conversion driver. New type permanent magnet synchronous closed loop frequency conversion timing door machine system. Door infrared ray curtain safety protection device. Fashionable, graceful and simple decoration in the car. DHT standard car is simple and fashionable, harmoniously integrating with buildings of various styles. 1. The frame comes in 3 styles to meet your different building conditions. 2. Car wall is patched with stainless steel and spray-powder steel, with aesthetic proportion. 3. Ceiling can be selected from standard styles. 4. Floor is high-quality plastic floor, or reserve space for stone decoration. As a China-based commercial elevator manufacturer, we also produce residential elevators, observation elevators, and machine roomless elevators etc. to suit your various needs. Additionally, we can manufacture elevators according to customers' specific requirements. With the advantage of superior reliability, safety and durability, our elevators are in increasing demand in Philippines, Bangladesh, Uzbekistan, Saudi Arabia, Albania, Russia, Nigeria, South Africa, India, just to name a few. Welcome to call us or email us for more product information. Thank you!